tongs are another one of my favorite kitchen tools. It is one of those tools that you never knew you needed until you get one and realize how useful they are. These ones retract to a closed position for easy storage with a quick pull of the center knob. Turn meat on the grill or pan. Using a fork to turn the meat will allow the juices to come out and dry out your meat. The tongs are more versatile than a spatula. Toss a salad with dressing. Remove vegetables from boiling water (such as corn, beans, or artichokes). Turn potatoes, vegetables or meat in the oven without taking the whole pan out of the oven. Toss pasta to coat with your favorite sauce. Extend your reach if you can’t reach the top shelf like little me. Get your hot bread out of the toaster without burning your fingers. 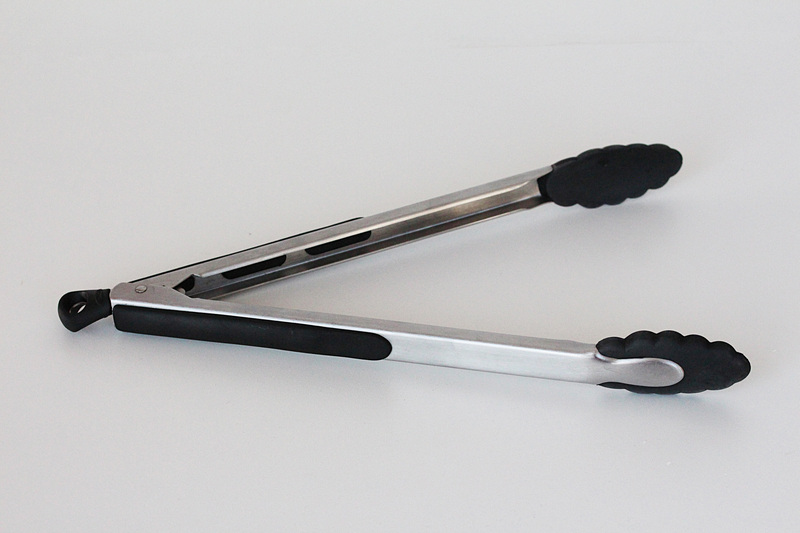 I have these exact same pair of tongs. I also have a metal tipped, twice as long version I use with my grill. That is great! Your friend will love it.